Yesterday I went to my very first acupuncture session. Apparently my liver has some issues, causing blood stagnation. Sounds terrible, doesn't it? Also I learned that I'm nervous. I tried to tell the doc I wasn't, but he just chuckled and told me that maybe I wasn't nervous "on the outside". So there you have it, stagnant and nervous, but now at least there's a light at the end of the tunnel and solutions to these problems I never knew I had. I joke, but in reality, I loved it. It was totally relaxing and fascinating, and I came home and crashed. I can't even remember the last time I felt so relaxed and floaty and sleepy. Definitely planning on continuing. I've never had it done but the hubs has. He has high blood pressure and my sister suggested he go and see the acupuncturist that she used. He did and I remember being there when a needle was inserted in a certain part of his leg and he yelled out some kind of expletive. It had been alright up to that point but he decided he would take his chances with some pills after that. I think he went in with quite a negative perception of what it could achieve so it probably didn't help the overall experience for him. 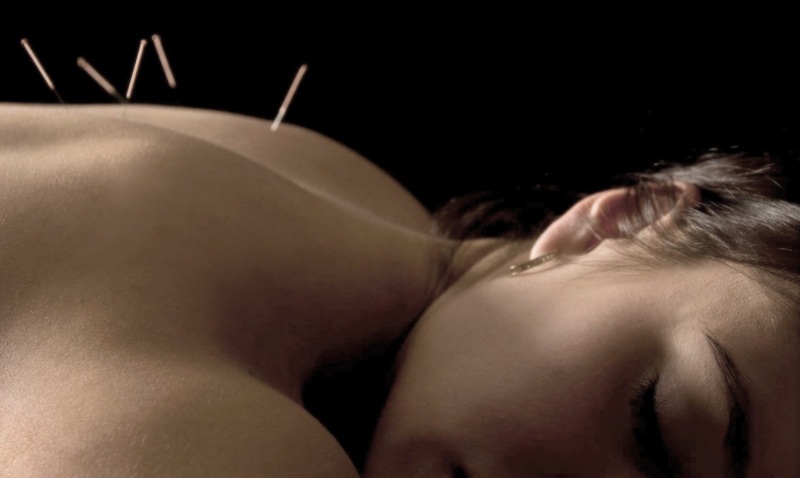 I have to say, it's never appealed to me but I've also (touch head, touch wood) never had anything that I felt I needed to go and see an acupuncturist for. You sound like you had some benefits from the treatment so that is very encouraging. Well I don't know if I would call them benefits at this point, but it certainly has been relaxing so far. Next step: some crazy herb mixtures that he's prescribed and burning moxa over certain parts of my body. I'm a curious person in general so I can't being fascinated by all of it. I figure I'll give it a month or two, and make a decision from there. I can see how going in prejudiced against it would color your experience, but on the other hand, it's not one of these things you have to believe in for it to work, right? I mean, at least in theory, it either works or it doesn't, your belief system shouldn't enter into play at all. Of course, you'd have to be receptive enough to at least go to your appointments... haha. Que bien me sentaria a mi ahora. And now I see your post. CO!!! Identical cousins for ever! That is so weird.. How did your acupuncture go? Did you like it? Did they give you herbs? And moxa? So curious... Love you!! He told me to burn these cigar-like sticks called moxa over certain points on my body, to heat them up... every day! It's actually really nice and relaxing. I think I could get hooked on the whole thing. Except every now and then one of the needles really hurts! Do yours hurt at all? Are you still doing it? Siempre estaré agradecida a la acupuntura. Desde hace 3 meses no pruebo el tabaco y ha sido gracias al Doctor Beltrán Carrillo. Se acabó!! Que bien! Yo la deje un par de meses pero acabo de volver. No se si ha tenido un efecto tan notable como tu experiencia, pero la verdad es que me relaja un monton, y mal no me hace!